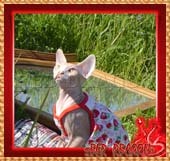 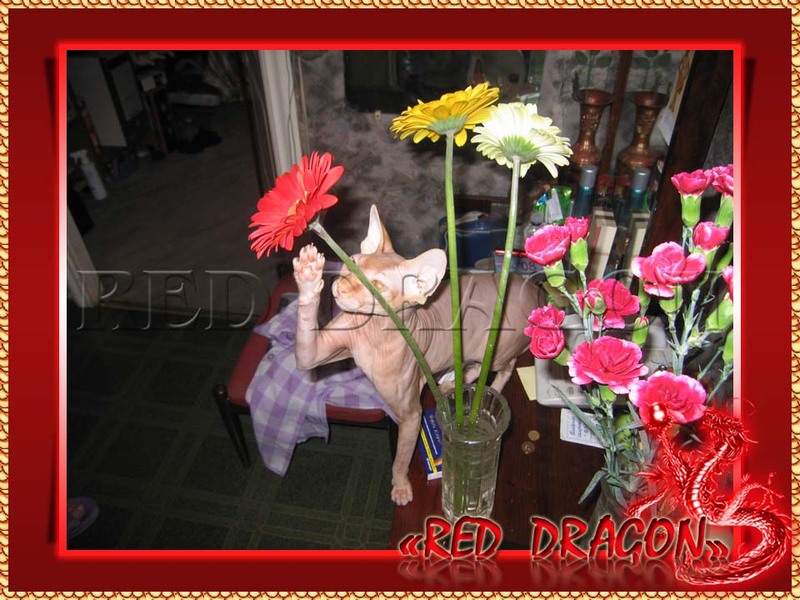 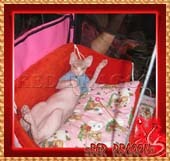 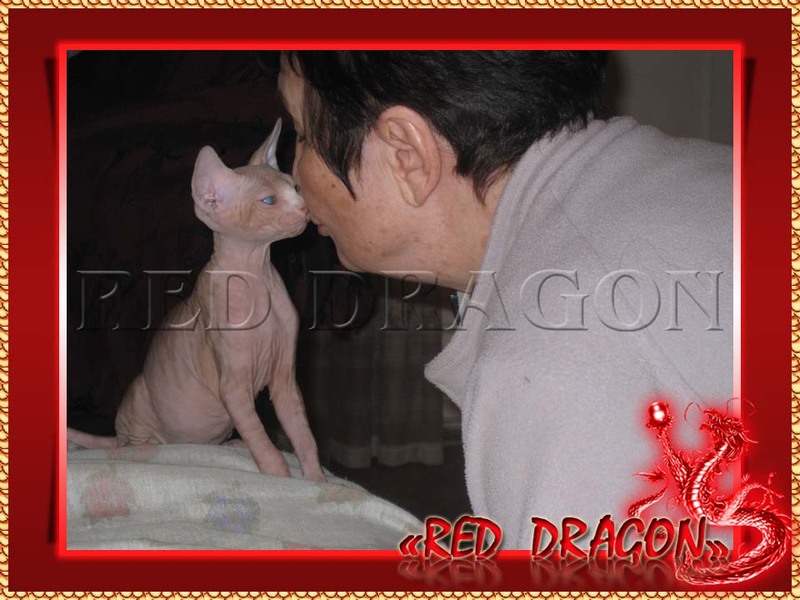 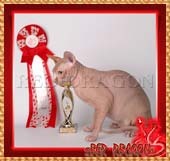 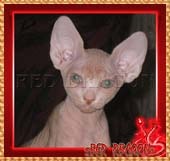 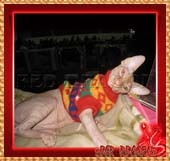 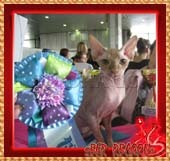 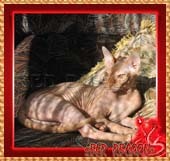 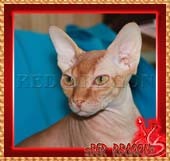 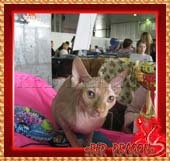 Canadian Sphynx – is a beautiful and charming breed of cats. 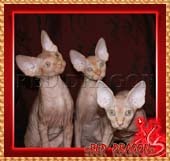 Their grace and beauty amazes every person who have ever seen those cats. 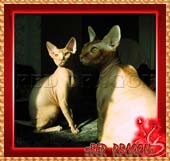 They remind us of some ancient Greek or Rome Gods. 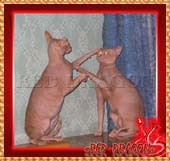 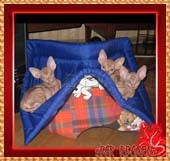 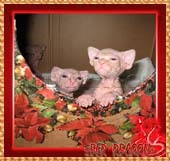 These cats are small, they have no fur, their skin is warm and covered with wrinkles. 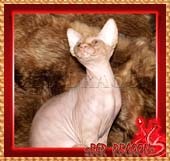 Eyes are stretched a little, like the eyes of Asian people. 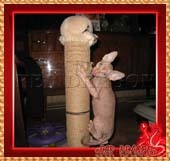 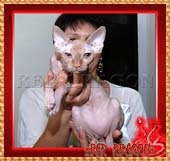 Canadian Sphynx have fur only on the tip of their tail, behind their ears and a little bit of fur on their paws. 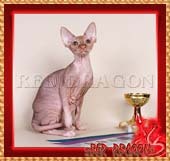 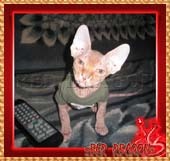 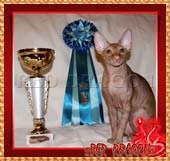 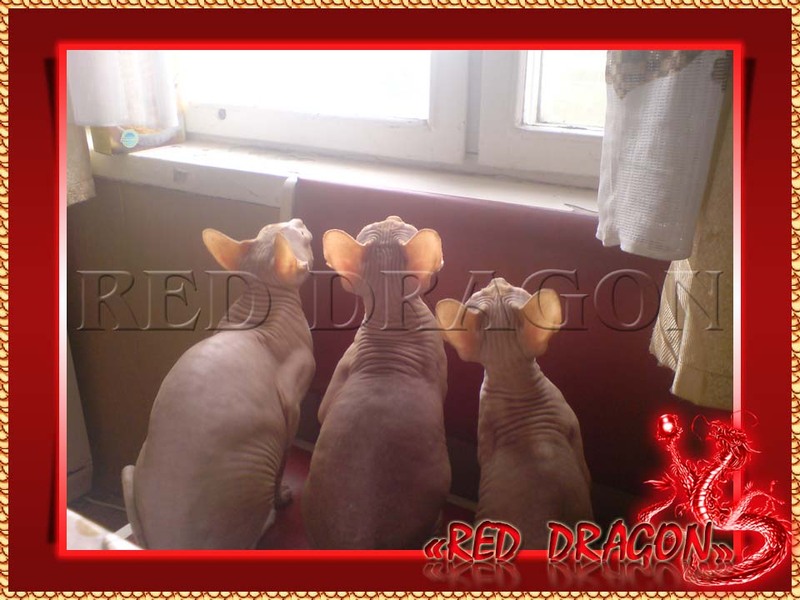 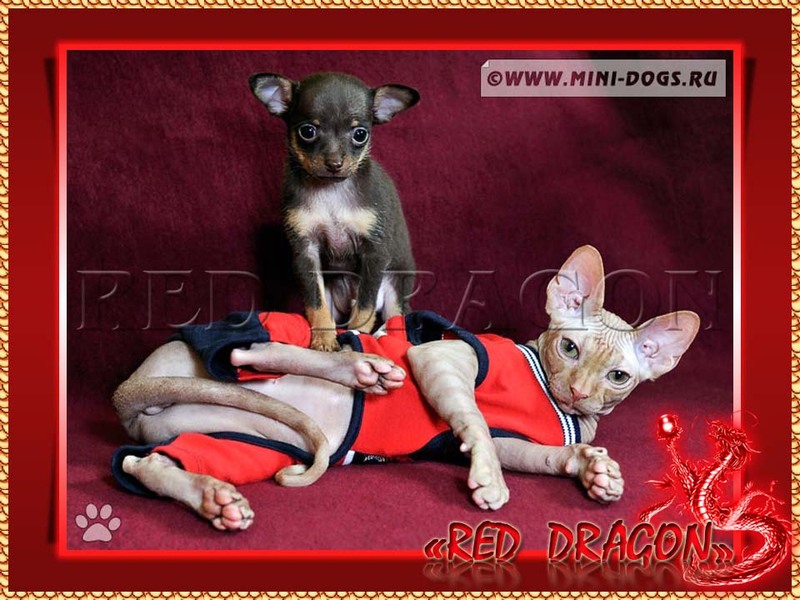 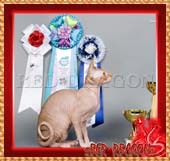 Usually they weight more than other cats because they have more muscle bulk/ Canadian Hairless are very nice, charming and loving cats, they are also considered to be one of the most clever cats. 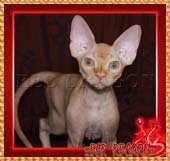 Lifetime is just the same as other cats have. 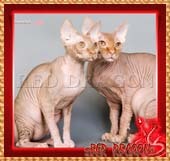 Their well-developed rib cage, strong legs with long fingers and sharp claws make a wonderful impression on people. 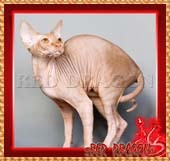 Hindpaws are longer than the fore feet, which gives those cats a very special walk . 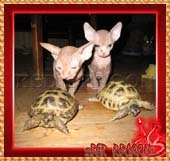 Their skin is warm and nice to touch.